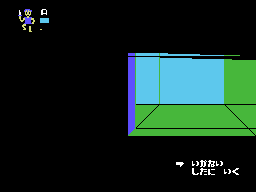 SG1000 Borderline (JPN) in 01:06.99 by adelikat. Borderline is an overhead shooter that puts the player in control of a Jeep in a war zone. The Jeep is equipped with a gun that has unlimited ammunition. Each round consists of four stages; after the player has completed all of them, the game proceeds to the next round, with increased difficulty. adelikat completes the four stages in record time. SG1000 The Black Onyx (JPN) in 00:41.17 by ruadath. Rumor says that the legendary Black Onyx, an artifact that grants eternal youth and happiness to those who can find it, lies within the Black Tower near the town of Utsuro. You assemble a party of brave adventurers and venture into the tower, defeating monsters on your way to the great treasure. ruadath gets to the treasure in just 41 seconds, moving through the rooms with godlike speed. The Black Onyx is one of the first traditional role-playing games made by a Japanese company. It is similar in gameplay to early Wizardry and Ultima games with killing monsters and exploring dungeons, with dark, realistic visuals. 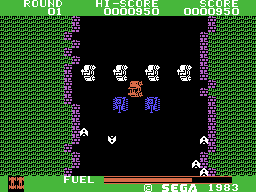 The player creates a party (up to five members) and explores a maze-like 3D dungeon, fighting random enemies on the way. The heroes also meet adventurers who can be convinced to join the party. The combat engine is turn-based.